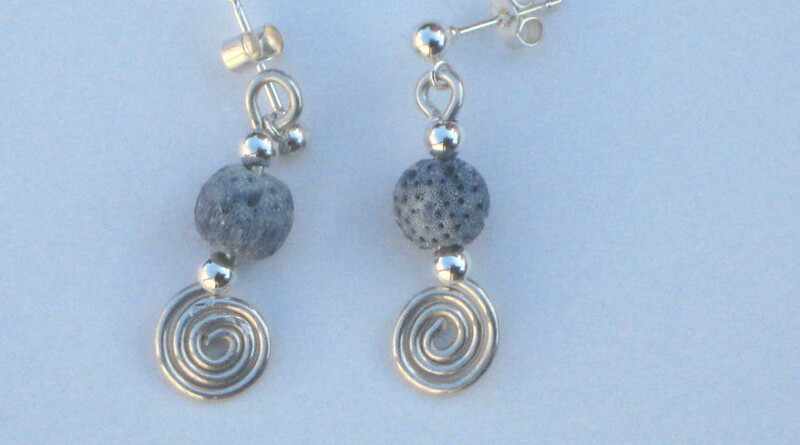 Silver drop earrings with handmade spirals and a semi-precious stone of your choice or as per availability/price point. Approximately 3cm long with French fittings. 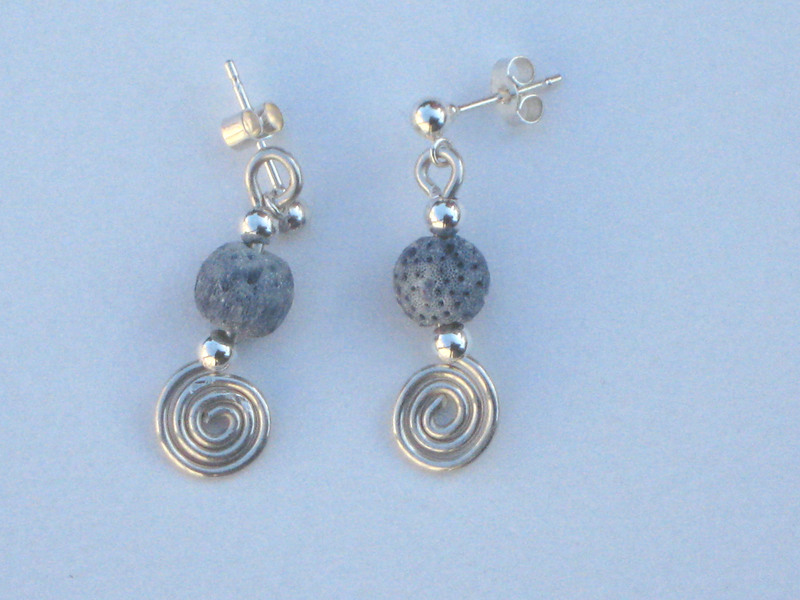 Semi-Precious stone choices could be Garnet, Malachite, Blue Lace Agate, Turquoise, Amethyst, Lapis Lazuli, Hematite etc.